Enjoy this well maintained gem in a Scottsdale zip code without the price & maintenance. Easy living co-op community takes care of utilities, roof, exterior maintenance & more. 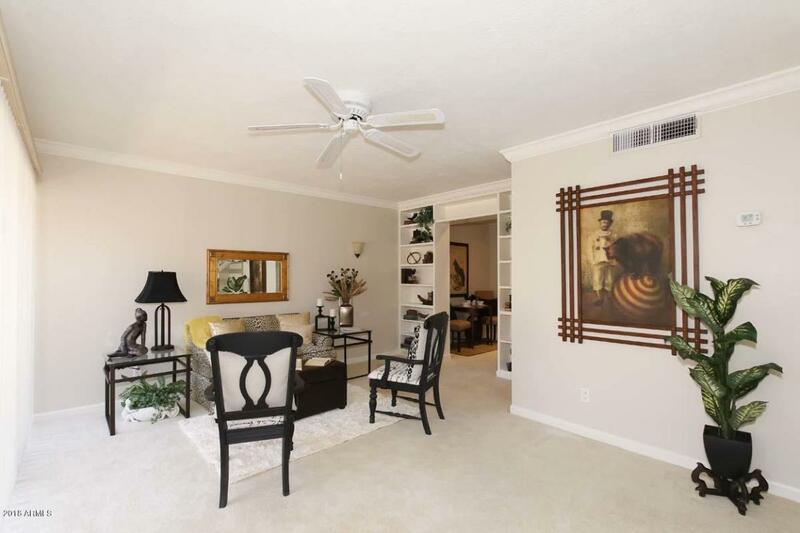 Work/Play/Relax in the lower level living room, dining room, or kitchen. Retire at the end of your day to the upstairs bedrooms and a full bath. Cool off in the community pool right out your front door. Your private back patio also features an enclosed area. This perfect Scottsdale location is close to both the 101 & 202 freeways, ASU, trolley, bus stop, Tempe Marketplace, Eldorado Park with fishing lakes, a pool & fields for sports such as softball & soccer, and much more!